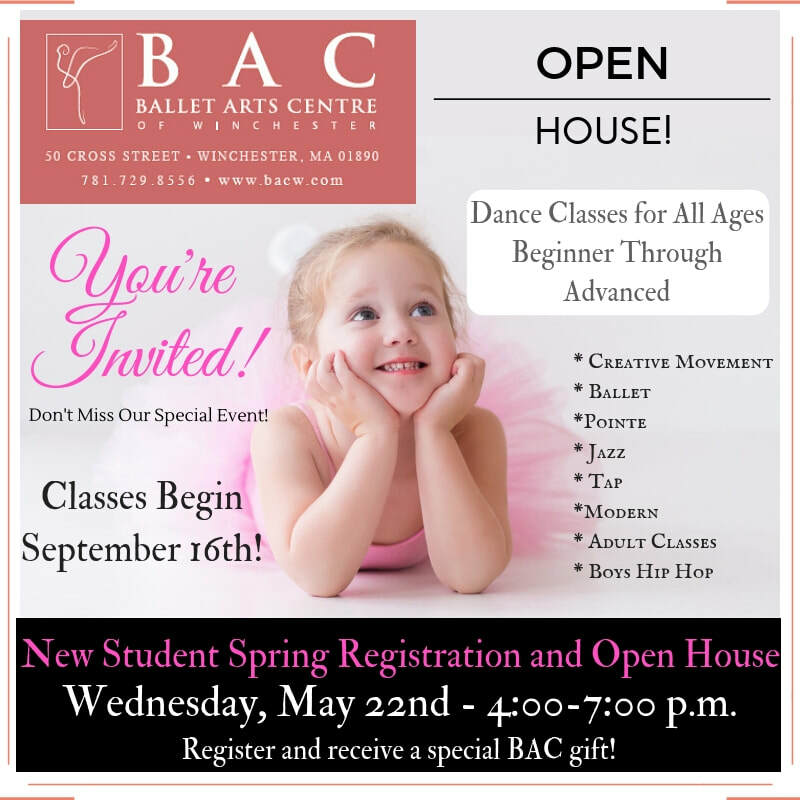 2019 Spring New Student Open House & Registration - Ballet Arts Centre of Winchester, Inc. Celebrating our 30th Year of Dance in 2019-2020! Meet the staff, take a look at our space, explore the many programs BAC has to offer, and reserve your spot for the 2019-2020 dance year! ​All new students will also receive a special BAC gift. We hope to see you there!